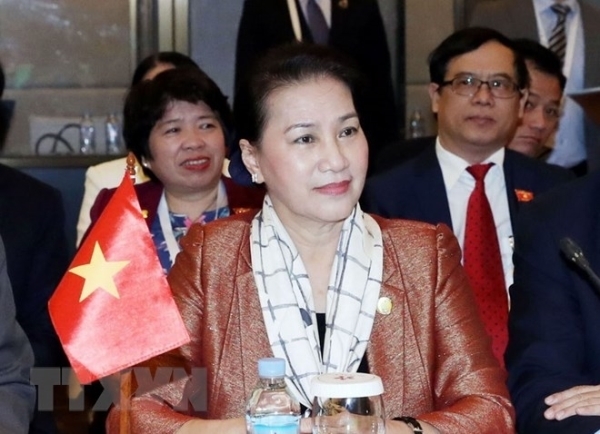 The Chairwoman of the National Assembly proposes 5 issues at APPF 27; the Political Bureau issues directive to protect the denounceers and fighters against corruption and the Vietnam Economic Forum 2019 are the most outstanding information in the week. A senior delegation of the National Assembly of Vietnam led Chairwoman Nguyen Thi Kim Ngan arrived in Siem Reap, Cambodia, on January 14-16, 2019 to attend the Asia-Pacific Parliamentary Forum 27 (APPF-27) at the invitation of Samdech Akka Moha Ponhea Chakrei Heng Samrin. The APPF-27 opened on the morning of January 15, 2019 under the theme “Enhancing Parliamentary Partnership for Peace, Security and Sustainable Development”. At the opening session, the delegates heard the Royral Message of Cambodian King Nprpdom Sihamoni to the Conference, in which the APPF’s activities in recent time have been highly appreciated in the belief that the APPF’s initiatives will receive a lot of concern and be popularized through the Asia-Pacific region. The APPF’s honorary President Yasuhiro Nakasone sent to the APPF-27 his wish that all the parliamentarians will overcome challenges to reach more developments. At the opening ceremony, Chairwoman of Vertnam National Assembly Nguyen Thi Kim Ngan, Chair of APPF-26, on behalf of the delegation of the Vietnam National Assembly, made an important speech. The National Assembly of Vietnam has highly appreciated the theme of this Forum; it conforms to the orientation of the parliamentary partnership, the requirements and trend of development of the whole world in general and of the Asia-Pacific region in particular in the new stage. - To continue the comprehenvise and close cooperation in the political, security, economic, scientific-technological, cultural-social anf sustainable development fields. In this process, it is necessary to have a suitable roadmap based on the spirit of consensus and solidarity with the motto “Nobody is left behind” and “Turning words into deeds”. - It is to commit to equal cooperation, mutual trust, dialogue and mutual interests, to settle the issues based on international law and the UN Charter. - It is to expand the exchanges of cooperation among the regional parliaments, promote to the maximum its role in monitoring the implementation of the sustainable development goals in each country. - the APPF continues to renew its organization and process and improve its operational efficiency, enhance the coordination and relationship between the legislative and executive channels of each country in the region. - it is necessary to enhance the building and perfection of the system of international policies and law; build the mechanism to monitor the implementation of the resolutions approved at each APPF so as to improve the efficiency of the Forum’s activities. Peace, stability, security and sustainable development are inseparable./. Standing Secretary of the Party Central Committee Tran Quoc Vuong has just signed the Directive No. 27 of the Political Bureau on enhancing the Party’s leadership of the protection the denouncers and fighters of corruption, waste and negativity. The Directive points out 8 tasks for the Party organizations and administrations at all levels, for cadres and Party members with the stress made on the heads of these levels. Specifically, leaders of the units must protect the denouncers so as to be able to put the wrongdoings right. The heads of all levels will be treated with their responsibilities if they relax their leadership and management, causing the revenge on the denouncers and fighters against corruption, waste and nagetivity. It is necessary to determine that protection of denouncers is the responsibility of the whole political system and the entire society, first of all, of the Party organizations and administration and the functional agencies at all levels. Also according to the Directive, those who abuse the right to denounce to smear and slander by providing untrue information shall be seriously handled./. 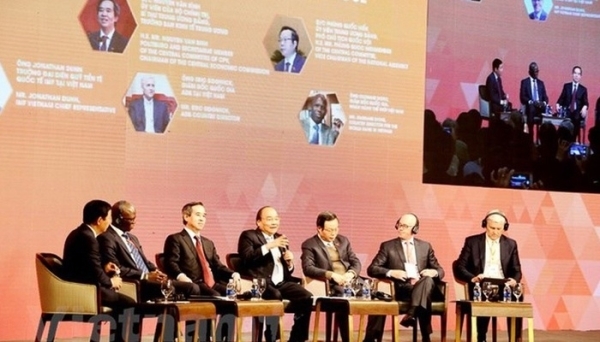 The Vietnam Ecnomic Forum 2019 was organized in Hanoi on January 16-17, 2019. by the Central Economic Board in coordination with the International Monetary Fund (IMF). Many senior experts from ministries and sectors of Vietnam and the management agencies of Japan, South Korea, Indonesia, Thailand, the Philippines and Malaysia; the multi-lateral international organizations such as IMF, WB, ADB, OECD and JBIC were on hand. Speaking at the event, Prime Minister Nguyen Xuan Phuc said that the Vietnamese Government will assess again all the real situation and real potential of the economic sectors and the sustainable development will not conflict with the fast growth. “Fast and Sustainability” is the strategic choice and the consistent action of the Vietnamese Government right from 2016. In the fast and sustainable development strategy, the Vietnamese Government has determined 3 important pillars in all of its policies and the development model comprises economy, society and environment./. 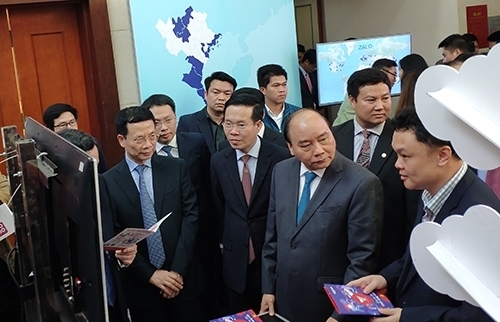 The Vietnam National Administration of Tourism in coordination with the Vietnam Post and Telecommunications Corporation – VNPT on January 16, 2019 launched the Vietnam Tourist Guide Application – VietnamGo. The national tourism application is built on the mobile platform with a lot of functions such as the tourist information guide, climate, typical destinations, local specialities and characteristic cusines. The industrial revolution 4.0 is being accelerated in all aspects of social life and economic branches. Application of information to tourism is the development trend not only in the world, but also in Vietnam. This has helped increase the travellers’s experience and improve service quality of the units that join the supply chain of tourist products. In the next stage, VNPT undertakes tp cpmtomue to accompany with the Vietnam National Administration of Tourism to popularize Vietnam tourism through application of smart tourism./. A conference to implement the 2019 tasks of the Ministry of Information and Communicatons was held on January 15, 2019. Minisgter of Information and Communications Nguyen Manh Hung said that in the past 10 years, the rating of Vietnam’s Telecommunications and information technology has been lowered to 100 in the world. In the years to come, 2022 at the latest, Vietnam should be ranked 30 to 50. So Vietnam has to stick to the international criteria to strive to raise its position. 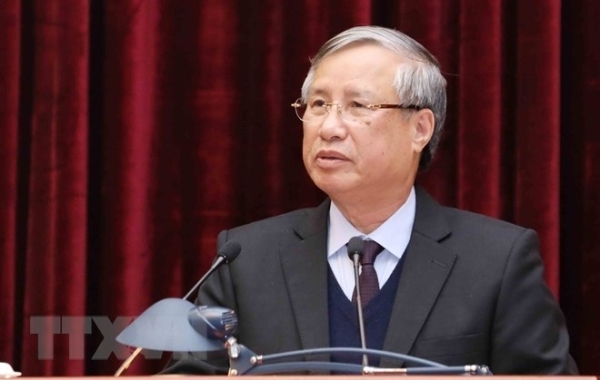 Speaking at the conference, Prime Minister Nguyen Xuan Phuc affirmed that among the fine and comprehensive achievements of the country, there are the direct and great contributions of the Ministry of Information and Communications. However, as the Prime Minister stressed, there are still shortcomings and slow development of the industry with slow growth in recent years. At the World Economic Forum, it assesses that Vietnam is yet to be ready for the Industrial Reovlution 4.0 and this is the main responsibility of the Ministry of Information and Communications. In the time to come, Vietnam should achieve higher ranks in ICT, because this is the plotform of the digital economy. The Minister is held responsible to help the start-up enterprises use technologies to resolve the problems of Vietnam. By 2020, Vietnam must be raised to 15 ranks in terms of e-Government. On the other hand, Vietnam must also be a power in network security. The Ministry must also pay attention to the social network and the foreign units doing business in Vietnam in the press area and demand them to observe the Vietnamese law. “The Ministry should take synchronous measures in legal, economic and technical aspects to handle the violatios of the Vietnamese law” – he stressed./. 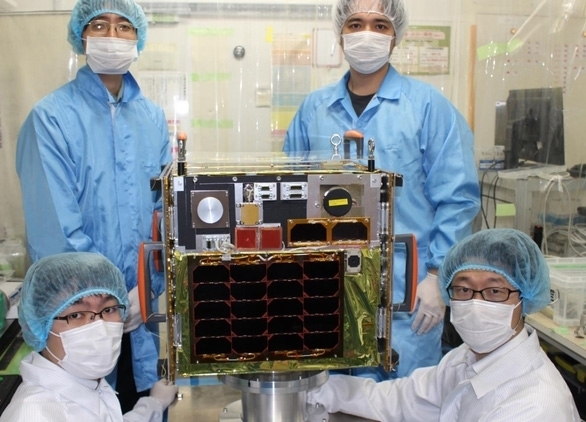 Satellite MicroDragon of Vietnam was lauchned into orbit on the morning of January 18, 2019 at the Space Center Uchinoura, Kagoshima Prefecture, Japan. It is expected that Micro-Dragon satellite of Vietnam will separate from satellite Epsilon No. 4 of Japan at the height of 511 km with velocity of 7.6 km/second when going into the orbit. In about one or two days, satellite MicroDragon will start receiving the first signals; after the experimental operation on the orbit in one or three months, the satellite can be able to operate stably as designed. Under the training and guidance of Japanese professors and experts, MicroDragon satellite is the first satellite designed and panufactured by Vietnamese scientists and engineers. The principal task of MicroDragon satellite is to take photos to follow the quality of sea water in coastal areas in service of fishining and aquaculture of Vietnam./. 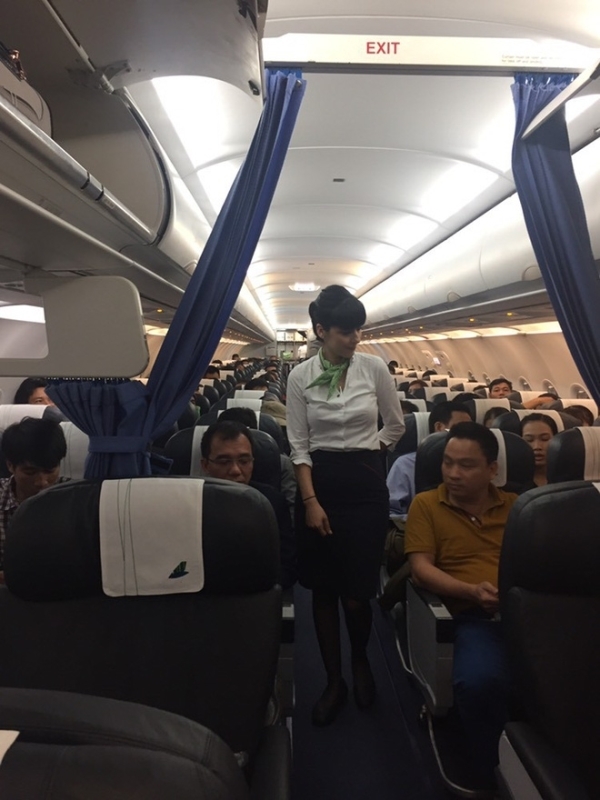 Bamboo Airways of the FLC group on the morning of January 16, 2019 made its maiden commercial flight from Saigon to Hanoi. This is the very important maiden commercial flight of Bamboo Airways. It gives good services with reasonable price to customers. It is expected to exploit 37 air routes connecting all big cities and famous tourist destinations in Vietnam and the world in 2019. In the immediate when Tet holidays are coming up, there will be 8 air routes with 26 flights, for example, Hanoi-Quy Nhon; Hanoi-Dong Hoi’ Ho Chi Minh City-Quy Nhon; Hanoi-Ho Chi Minh City; Hanoi-Buon Me Thuot, Ho Chi Minh City-Van Don and so on. Bamboo Airways has plans for international routes with partners of Japan, South Korea and other countries in Asia and Europe in preparation for long air routes from 2019./. The Inspection Committee of the Party Central Committee held a meeting on January 14-16, 2019. 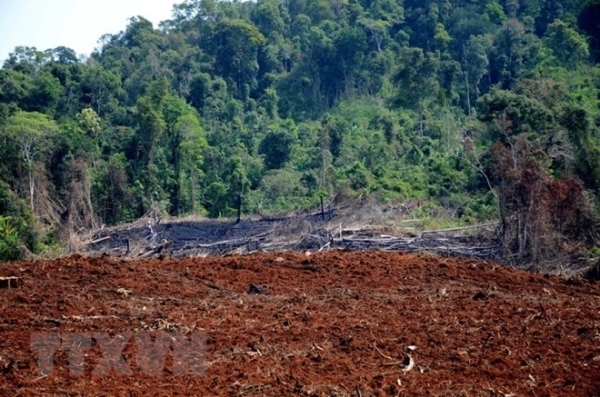 At this meeting, the Inspection Committee reviewed and concluded the degree of violation and shortcomings, in which it decided to discipline by censuring Nguyen Bon, Deputy Secretary of the Provincial Party Committee and Chairman of Dak Nong Provincial People’s Committee and warning Truong Thanh Tung, Vice-Chairman of Dak Nong Provincial People’s Committee for their illegal lease of forest land, causing great losses to the State budget and destroying large areas of forest land. Ho Van The, Deputy Head of the People Mobilization Committee, Quang Ngai Province, was warned for having violated the principle of democratic centralism without observing the guidance of the Standing Committee of the Provincial Party Committee./.